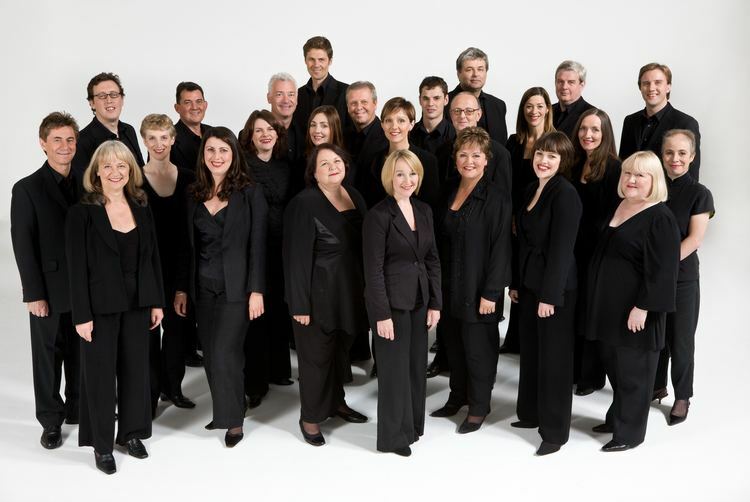 The BBC Singers are the professional chamber choir of the BBC. As one of six BBC Performing Groups, the 24-voiced choir has been in existence for more than 80 years. The BBC Singers has commissioned and premiered works by the leading composers of the past century, including Benjamin Britten, Sir Michael Tippett, Judith Weir and Sir John Tavener. It regularly performs alongside leading international orchestras and conductors, and makes invitational appearances at national events such as the funeral of Diana, Princess of Wales in Westminster Abbey. The BBC Singers are based at the BBC's Maida Vale Studios. They perform across the country, tour internationally, and undertake nationwide outreach programmes. They have released several commercial CDs. In 1924, the young BBC engaged Stanford Robinson as Chorus Master. He proceeded to form a choir for a performance of Rutland Boughton's Immortal Hour, and this choir, known as The Wireless Chorus would shortly thereafter be established as a full-time professional choir. In 1927, the BBC created an octet named The Wireless Singers, drawn from members of the Wireless Chorus, for performances where fewer singers were required. Guest conductors of both groups during these early years included Sir Edward Elgar, Igor Stravinsky, Arnold Schoenberg and a young Sir John Barbirolli. In 1931 the Wireless Chorus was invited to perform at the Festival of the International Society for Contemporary Music, the first time this event had been held in Britain. Following the success of the event, it went on to establish themselves as the leading proponents of contemporary music in the UK, a reputation upheld by the BBC Singers today. With the arrival of Leslie Woodgate as general chorus master in 1934, the group was renamed the BBC Singers, and divided into two octets known as Singers A and Singers B, one specialising in less standard repertoire including Renaissance polyphony and madrigals, the other in light music and revue numbers. Singers A were typically paid £1 per week more than Singers B. The tenor Peter Pears was a member of the choir (Section B) when, in 1934, Benjamin Britten composed the cantata A Boy was Born for the group. After meeting during rehearsals for the cantata, the pair became lifelong partners, with Pears serving as the muse for many of Britten's compositions. In 1939, Leslie Woodgate described the operation and function of the various BBC choirs, including the professional choir, in an interview with The Musical Times. During the heavy bombing of the Second World War, the choir was forced to relocate several times from its base in Maida Vale, briefly taking up residence in Bristol, Bangor and Bedford. Despite the chaos of these years, in 1945 it was able to give the premiere of Francis Poulenc's wartime cantata Figure humaine from the Concert Hall of Broadcasting House. From the late 1940s the BBC Singers began to tour across Europe, appearing under the baton of such musical giants as Herbert von Karajan, Wilhelm Furtwängler and Bruno Walter. In England it worked with George Enescu, Sir Thomas Beecham, Otto Klemperer and Igor Stravinsky. From 1946 they became a staple feature of the new radio arts network, the Third Programme. The middle years of the twentieth century provided an enormously rich list of new pieces for the choir, including premieres of major works by Darius Milhaud, Frank Martin, Paul Hindemith, Gerald Finzi, Sir Michael Tippett, Pierre Boulez, Sir Arthur Bliss and Karol Szymanowski. In 1964 composer and conductor Pierre Boulez began an association with the choir that continues to the present day. In 1961, the BBC's long-time general chorus master Leslie Woodgate died, and was replaced by Peter Gellhorn. Gellhorn re-organised the professional contingent, scrapping the A-B division in favour of a single force of 28 voices, which was renamed the BBC Chorus. Following the appointment of John Poole as chorus master in 1972, however, the choir reverted to the previous name, the BBC Singers. The appointment of Bo Holten as Guest Conductor in 1991 marked a radical alteration in the group's approach to Early Music, indicative of the changing musical scene of the day. The BBC Singers now works alongside specialists in the field including Peter Phillips (Tallis Scholars) and Robert Hollingworth (I Fagiolini) giving several broadcasts a year. In addition, the group continues to perform large-scale orchestral works with international conductors. The BBC Singers remains the only full-time professional choir in the country and is the only group whose regular repertory spans the history of music, from the earliest chant to the latest vocal techniques. Stephen Cleobury, now Conductor Laureate, was Chief Conductor of the BBC Singers from 1995 to 2007. In addition, he has been Director of Music at King's College, Cambridge for the past 30 years, and has played a pivotal role in supporting contemporary choral composition through his work with both King's College and the BBC Singers. Grammy-award winning musician David Hill, current Chief Conductor, trained as an organist before taking up choral direction. As with his predecessor, Stephen Cleobury, Hill has a background in cathedral music. Between them, the pair have directed the choirs of St John's College, Cambridge, King's College, Cambridge, Westminster Abbey, Westminster Cathedral and Winchester Cathedral. Bob Chilcott, one of two Principal Guest Conductors, was a member of the King's Singers for 12 years and is well known as the composer of music for children's choirs as well as a large catalogue of works and arrangements for choirs of all sizes. Paul Brough, appointed Principal Guest Conductor in January 2011, is Director of Music at All Saints, Margaret Street and is a Professor at the Royal Academy of Music. He is respected as an orchestral conductor as well as a choral director, working with groups including the Britten Sinfonia, the BBC Concert Orchestra and the Manchester Camerata. Over the past eight decades the BBC Singers has performed and commissioned more than a hundred new works. These include pieces by Michael Berkeley, Sir Richard Rodney Bennett, John Casken, Sir Peter Maxwell Davies, Thea Musgrave, Edmund Rubbra, Robert Saxton, Sir John Tavener, Sir Michael Tippett and Iannis Xenakis. In 2002 Edward Cowie became the BBC Singers' first Associate Composer. In this role, Cowie produced multiple new works each year for performance by the Singers, and took part in workshops with young composers from schools, universities and music colleges. Judith Bingham was the next to fill this position, in 2004, and was succeeded in 2010 by Gabriel Jackson. The BBC Singers can be heard in concert, on the radio, on recordings and in education workshops. The choir is often invited to perform alongside other BBC Performing Groups, in particular the BBC Symphony Orchestra, and is a regular guest at the BBC Proms. Broadcasts are given from locations around the country, including St Giles-without-Cripplegate and St Paul's Knightsbridge.